Over the last two weeks, over a hundred new properties have hit the market. This should make Boulder real estate shoppers happy. First of all, the following listings are truly new to market. 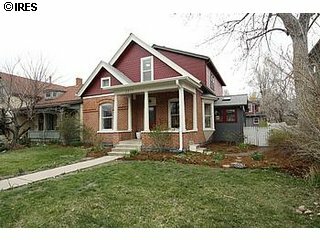 None have been on the MLS for more than 2 weeks so they've haven't been picked through by every buyer in Boulder (yet). I've hand selected them for a variety of reasons (explained below). If you're shopping for real estate in Boulder, add these to your list. Don't forget to call me at 303.746.6896 to schedule a showing. Unlike the listing agent, I'll tell you the pros and cons as I see them. That's just one advantage of working with me (read my reviews). Why? Gold Run is located right on the Boulder Creek path. 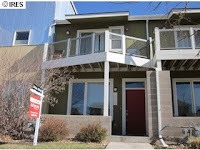 It's a short distance to CU and an easy ride down the bike path to downtown. Nearby shopping and entertainment means you probably won't use your car much. These units appeal to CU students and those wanting a turn-key lifestyle, with the benefit of close proximity to downtown without the downtown price. Due Diligence Gold Run is showing its age and has a recent fire history. If you're buying here, you should budget for capital assessments in the near future to cover the cost of needed improvements. And if you decide you want a newer building in a quieter location (more professionals, fewer rentals, more serious students), be sure to check out our listing at 550 Mohawk Unit #70. 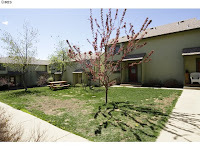 You should also compare to other units currently available at Gold Run and 2 bedroom units at the Peloton. Why? A+ location, which of course you'll pay for, but historically A+ locations have lower downside risk (a double-dip in prices) and more potential upside when the cycle turns. This is a quiet spot, steps from open space and trails. Due Diligence This unit is small and dated. I could have spun that as having "potential for remodeling" but the simple truth is that it's dated. Budget for a kitchen remodel. The good news is that the detached garage will provide plenty of room for gear storage, a critical necessity in Boulder. p.s. We sold one last year for $285K, it was nicely staged and the kitchen was completely done. Buyers should ask their agent (me) to use that for negotiation purposes. Why? Holiday appeals to buyers wanting modern design, some nearby amenities, and a Boulder address. Some of these units are "live/work," meaning there is workshop or commercial space beneath the living area - but not this one. Due Diligence I've been tracking resales at Holiday and for the most part, prices have been flat. 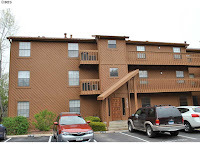 These particular sellers paid $276 for this unit in 2004, which was before the peak of the market. 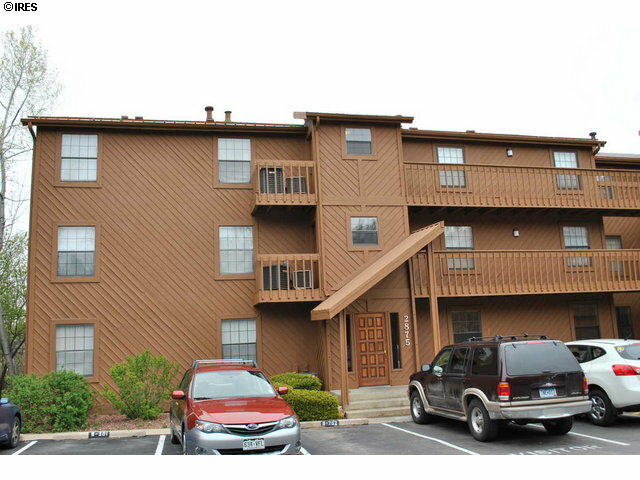 Thus, their asking price seems a little rich, but the unit is south facing and features multiple decks. It could be priced right if the sellers have put in money to make improvements or perhaps they got pre-construction pricing (unlikely). Other due diligence considerations include the vacancy rate of commercial/retail space and the speed of redevelopment at this far north boulder location. You may also want to think about your commute to work/school, especially if you work south of Boulder. Why? Much to the jealousy of other neighborhoods in Boulder, Martin Acres continues to hold the line for pricing at the entry-level, and desirable properties still sell very quickly. 35th Street is central in the neighborhood and this house is on the corner of Dartmouth, which opens the possibility of a garage (assuming City Officials approve, and you kiss the ring). You're looking at a location a few blocks from Martin Park, Creekside Elementary, and most importantly - downhill from the Southern Sun on the bike path. 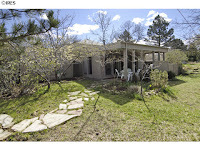 Due Diligence The in-place lease and lack of photos in the listing suggest an "original condition" Martin Acres house. In other words, budget for improvements because you'll probably get a dumpy kitchen, steel fortress-like single pane windows, marginal appliances, and worn-out carpets. I haven't seen this one in person (yet), so maybe I'm all wrong and you'll be pleasantly surprised. But probably not. Why? The listing photos highlight a beautiful yard with mature landscaping, lending a feel of seclusion.. You're buying a desirable location, a reasonable size house, and an idyllic setting in the city for under $600,000. Due Diligence A relatively conservative example of 70's architecture, this design is thankfully less "inspired" than some of the more avante garde stuff of that free-wheeling era. The interior is dated and the layout doesn't appear in-line with the current buyer taste for open kitchen and living areas. Budget for bringing the interior up to date. The lot size appears adequate for expansion possibilities but remember Newlands was the focus of the FAR controversy. Buyers planning future expansion would be smart to consult with an architect familiar with the city's current regulatory nightmare (we can recommend a few, by the way). Why? Excellent location, reasonable size (functional), multiple updates including a kitchen remodel, and a detached 2 car garage with a second dwelling unit (currently rented). Too bad you missed it! This one went under contract just two days after hitting the market. This is why if you're shopping, you need active e-mail listing alerts and a responsive agent (me) who can show you desirable property the moment it hits the market. Other buyers are always waiting in the wings. Due Diligence You'll want to check the rental license on the carriage house to ensure compliance with the City (they're cracking down). As with most historic homes, expect to find wiring, foundation, and moisture issues. Hire a very good inspector and be prepared for some surprises. That means being ready to call in other experts for second opinions and repair estimates during the inspection process. Shopping for a home? I'm committed to providing you with the latest market information, straight forward advice and the highest standards of service. 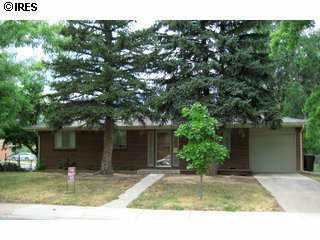 Call me at (720) 310-5007. I've never seen Wonderland Hills (3910 Orchard Ct) referred to as Newlands. I've always considered Newlands to be south of Linden. You're right. I spaced the address.